Large format printing is one of our specialties and we are famous for being fast! 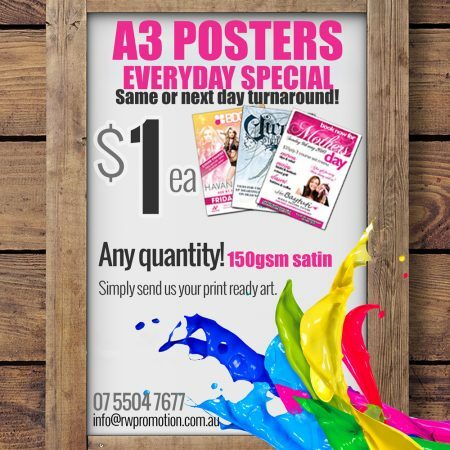 Having printed more than 1 million posters over the years, we can guarantee our amazing & reliable service as well as the highest possible quality and Australia’s fastest turnarounds! To order your posters it’s as easy as 1, 2, 3! Step 1 – Choose a poster size below. Step 2 – Select your quantity, checkout and upload your artwork (or email it to us). Step 3 – Once your artwork is approved we will manufacture and ship your order promptly. PROMOTE your current marketing promotions or sales. ATTRACT customers with seasonal decorations. ENHANCE the visual appeal of your business with vibrant graphics at the POS. New product launch, events/functions, public holidays, public notices, announcements, sales, seasonal decorations, Christmas, valentines day, Halloween etc. Available in the following sizes: A4, A3, A2 (or 20″ x 30″), A1, B1 (or 30″ x 40″), A0, 2A0. Custom sizes also available. 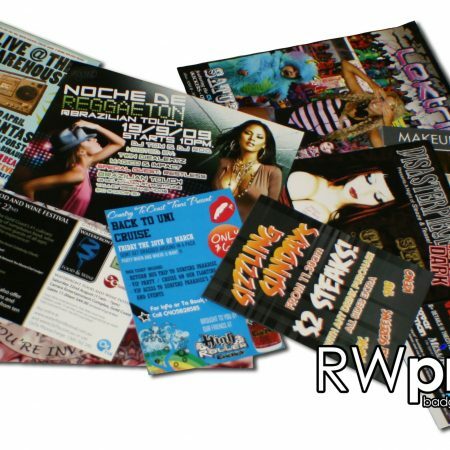 For our full range of media or to get a quote for a custom size please contact us today! For more detailed information (prices, turnaround times and shipping) click one of the products below or contact us. We’d love to hear from you.